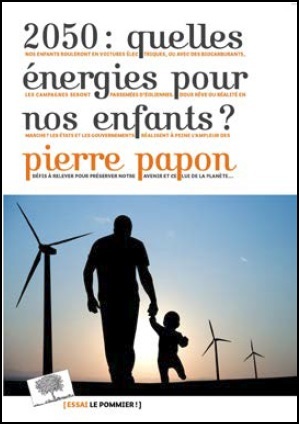 Accueil » Articles	» A transition to carbon neutrality : which energy strategy for France? A transition to carbon neutrality : which energy strategy for France? After the Prime Minister’s, Edouard Philippe, general policy statement to the National Assembly on July 4, during which he announced measures to support the « ecological transition », the minister of ecological transition and solidarity, Nicolas Hulot, presented, on July 6, the government’s « Climate Plan ». 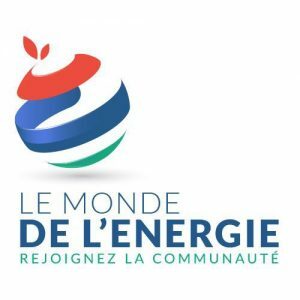 It aims at « accelerating the fight against climate change in France and internationally … it sets a new course for everybody, that one of a carbon neutrality by 2050« . This objective is very ambitious because it goes beyond France’s commitment to divide by a factor 4 its CO2 emissions by 2050 and the commitments of the COP 21. If this plan does not define an energy policy, it nonetheless sets a major goal: to end the use of fossil fuels. A new multiannual energy program will be issued by the end of 2018 in order to define a new low-carbon strategy. Eight of its axes directly relate to energy, we will content ourselves with summarizing them. « Decarbonising » energy production is the major objective, in particular by decommissioning the four last coal-fired power plants by 2022. France will proceed with an accelerated carbon price increase and will support the revision of the European CO2 trading scheme. It will start phasing out the production of hydrocarbons on French territory, effective by 2040, and it will no longer grant hydrocarbon exploration permits (it is not clear whether this applies to the French Exclusive economic zone). This plan proposes the development of electric mobility: « We are aiming at ending the sale of petrol and diesel cars by 2040 », theminister said (the Climate Plan document proposes to set this objective at European level). 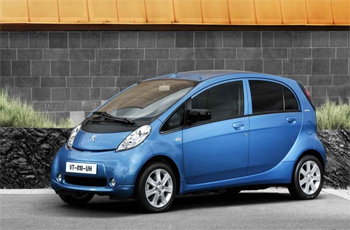 This objective can only be achieved by replacing the combustion engine vehicles with fully electric vehicles (hybrid cars seem to be excluded as long as no more thermal engines are sold, picture of the Peugeot Ion electric car). We had mentioned this issue in our previous blog by pointing out how ambitious it is. Clean mobility will be encouraged through a “transition premium”, or bonus, to help low-income households acquire cleaner vehicles. Finally, the thermal renovation of housing and buildings will be a national priority that will benefit from significant financial resources, eliminating the energy poverty of households (one in five households in France) is to be achieved in ten years. A reflection on the energy professions will be launched. How to go to practical work? This is the question to which the report on the « Great Investment Plan 2008-2022 » is supposed to answer; it was submitted to the Prime Minister at the end of September, by Jean Pisani-Ferry (former Commissioner General of “France –Strategy”). 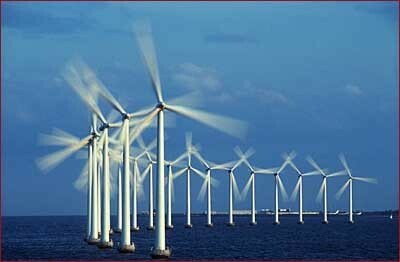 The plan proposes 57.1 billion euros of investments, it has been approved by the government. It continues, in a way, the logics of stimulus investments in order to prepare the future, a plan which was implemented in recent years with the so-called « Big loan » (“Grand Emprunt”), launched in 2010, and then taken over by the General Commissariat for investment. One of the four challenges that this plan wants to address is the « ecological transition » and, in fact, the energy transition, for which it will mobilize 20.1 billion euros of credits via various mechanisms and with an impact which will have to be sustainable. The Pisani-Ferry report notes that a delay has been made in the « shift towards a low-carbon economy » and it takes up three objectives of the Climate Plan: carbon neutrality in 2050 – the elimination of « energy sinks » in housing in 10 years – the thermal renovation of all public buildings by 2040. Without going into the details of this very comprehensive plan, and far more concrete than the Climate Plan, it is useful to highlights some headlines among the objectives and the proposed measures. The thermal renovation of housings is a workhorse of the Plan (20% of greenhouse gas emissions, with 30 million homes in France), 9 billion euros will be devoted to this objective, including 6.7 billion for housing by helping low-income households to eliminate energy poverty in ten years (the “Caisse des Dépôts et Consignations” will be mobilized as well as the National Housing Agency, the current tax credit for energy transition will be transformed into a subsidy). Sustainable transport will be endowed with a budget of 4.1 billion euros: – a conversion premium to help modest households to exchange a polluting vehicle for a clean one (with 10 million polluting vehicles in France, it would be necessary to accompany the transition of 100,000 vehicles per year) – renewal of the road and rail network – new forms of mobility. 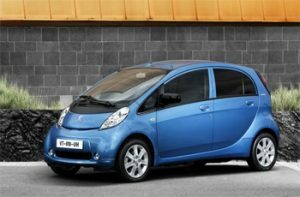 While the objective of achieving electric mobility (with electric cars) is maintained, it is rather poorly endowed (0. 1 billion euros) and the Government is no more referring to vetoing selling cars with thermal motors in 2040. Seven billion euros will be devoted to the transformation of energy use and development of the city of tomorrow, including 4.9 to increase the production of renewable energy. This would include building three off-shore wind farms (the Plan states that it is necessary to use high-performance technologies) and nearly 10,000 wind turbine masts in addition to the present energy law. It should be noted that the Plan will « catalyze » advanced research on tomorrow mobility to the tune of 0.1 billion euros (a modest action but catalysts often work at homeopathic dose …) and support very innovative projects in energy transition up to 0.7 billion euros via future investments. The Plan underlines the necessity of two initiatives: an increase of the carbon tax (in particular on diesel fuel), the doubling of the R&D energy effort (a commitment for France and other countries on the occasion of COP 21, which is far from being to be met). We must make two observations : the Climate and Investment Plans represent a real step forward on the road to energy transition with concrete measures (thermal renovation of building with financial engineering for example), they reinforce the 2015 law and France’s commitments on climate (financial support for the recruitment of foreign researchers working on the climate also goes in this direction). This being said, one has to wonder about the possibility of « forcing the steam » on the road to energy transition and carbon neutrality in 2050, that is, to eliminate CO 2 emissions by all energy systems. The Pisani-Ferry report also notes delays in the development of renewable energies : while the target was set in 2015 of an energy mix with 32% of renewable energies in 2030 and 40% of electricity generated by renewable energy sources, in 2016 this proportion was only 18%. We observe a detail which is partially anecdotal : the National Assembly voted, on October 5, a bill prohibiting the exploitation of hydrocarbons on the national territory from 2040 on and the granting of exploration permits on the national territory. This measure prohibits, if it were to be applied, the possibility of exploring offshore areas in the French EEZ where discoveries cannot be excluded, for example in the Mozambique Channel off the Iles Eparses (the concession awarded to Total for French Guiana has been renewed …). It is policy scribbles because France will continue to import gas, which it will still need, for a few decades, from the Middle East and elsewhere, as well as oil for hybrid cars and the chemical industry (by example to manufacture composite materials lightening aircraft structures and saving energy …). Making this statement is not a concession to the « oil lobbies », but it is to take into account the economic and technical reality and the need to proceed step by step. Let’s also note that although France is an agricultural country, neither the Climate Plan nor the Investment Plan allude to the possibilities of producing second- and third-generation biofuels (supported, it is true, by the so-called “Investments for future” program). The Pisani-Ferry report underlines in its introduction that « the ecological transition imposes a change of development model » and that it is also a « social challenge » (as shown by the History of Energy). We have emphasized many times in our blog that such a transition is prepared by training and research efforts. Energy research is not a priority for the plans even though France is committed to doubling its public R & D effort for the energy transition (« anchoring competitiveness on innovation » is, it is true, another investment plan challenge that includes ways to support research and innovation). It is clear that the plans do not refer to the technical locks that must be blown up to promote renewable energy and electric cars. The improvement in battery performance is not the least (see on this subject the report presented in Nature Materials (« Battery materials and technologies » September 2017, www.nature.com/naturemats ). where alternatives to the lithium-ion battery are presented showing slow progress especially on the energy density issue. The energy transition requires a research strategy with priorities but also means to « rake broadly », ie to explore promising long-term paths, from this point of view the « National Strategy for Energy Research » adopted in December 2016 (www.ecologique-solidaire.gouv.fr ), is a very general document without any real priorities. This transition also presupposes a global industrial policy integrating both the imperatives of energy production (in particular electricity with the renewable and nuclear sectors not mentioned in the Climate Plan) but also the transport industries (the automobile in particular). The government’s objectives are likely to be difficult to achieve by 2040, when the Climate Plan calls for the implementation of a real « low-carbon pan » that includes steps towards the goal of carbon neutrality. We ought to mention that the government announced, at the beginning of November, that France will have to delay until 2030-2035, the decommissioning of nuclear reactors in order to reach the objective of downgrading the proportion of nuclear energy in the electricity mix (from 75% to 50% in 2025) as production from renewable sources will not be able to close the gap. Political voluntarism is certainly necessary, and welcome, to ensure the energy transition but it is not enough because we cannot do without the technique and an effort of education. It is essential to make choices but, as Cervantes made him say to Don Quixote, one must also know how to « give time to time » …. « Vers un accès universel à l’énergie moderne et à l’électricité : une longue marche…..